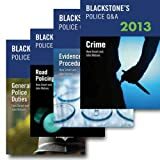 9780198743361 | Oxford Univ Pr, October 15, 2015, cover price $42.50 | About this edition: Blackstone's Police Q&As 2016 are the essential revision tool for all police officers sitting the NPPF Step Two Legal Examination (formerly OSPRERG Part I). 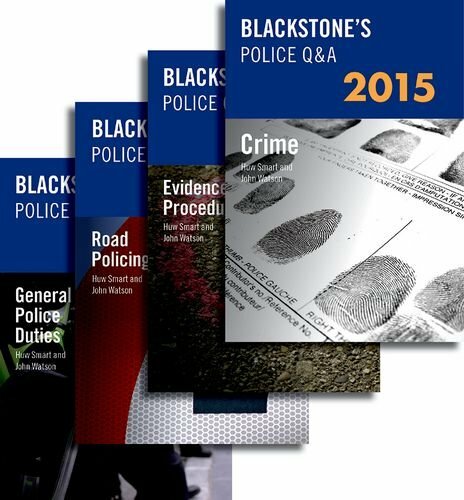 9780198743347 | Oxford Univ Pr, October 15, 2015, cover price $42.50 | About this edition: Blackstone's Police Q&As 2016 are the essential revision tool for all police officers sitting the NPPF Step Two Legal Examination (formerly OSPRERG Part I). 9780198743354 | Oxford Univ Pr, October 15, 2015, cover price $42.50 | About this edition: Blackstone's Police Q&As 2016 are the essential revision tool for all police officers sitting the NPPF Step Two Legal Examination (formerly OSPRERG Part I). 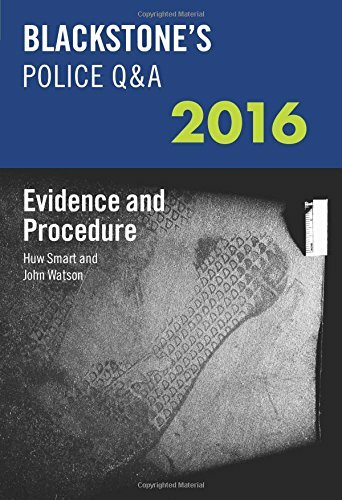 9780198743378 | 14 edition (Oxford Univ Pr, October 15, 2015), cover price $42.50 | About this edition: Blackstone's Police Q&As 2016 are the essential revision tool for all police officers sitting the NPPF Step Two Legal Examination (formerly OSPRERG Part I). 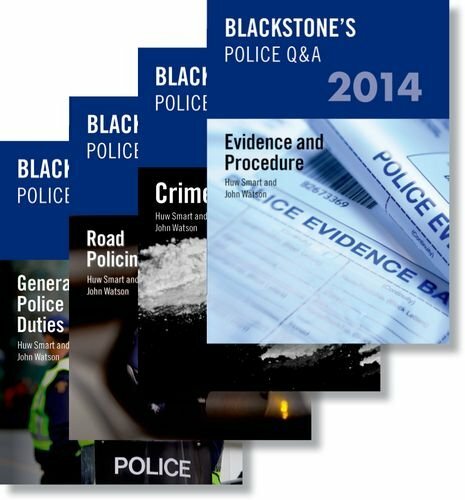 9780198718932 | Oxford Univ Pr, October 14, 2014, cover price $49.95 | About this edition: Blackstone's Police Q&As 2015 are the essential revision tool for all police officers sitting the OSPRERG Part 1 promotion examinations. 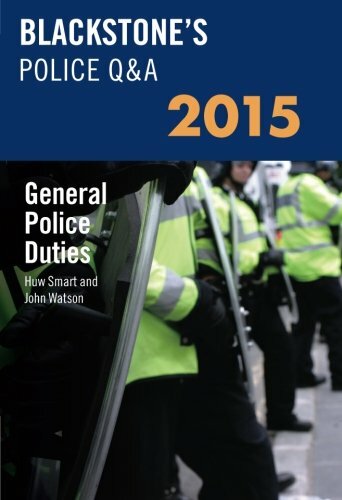 9780198718963 | Oxford Univ Pr, October 14, 2014, cover price $49.95 | About this edition: Blackstone's Police Q&As 2015 are the essential revision tool for all police officers sitting the OSPRERG Part 1 promotion examinations. 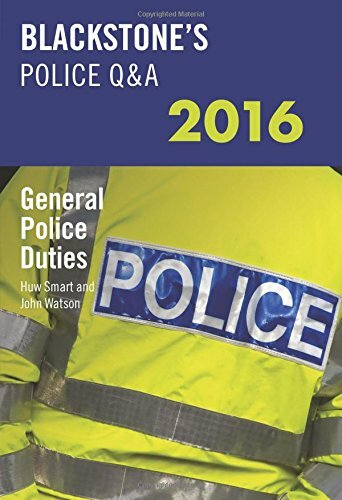 9780198718956 | 13 edition (Oxford Univ Pr, October 14, 2014), cover price $49.95 | About this edition: Blackstone's Police Q&As 2015 are the essential revision tool for all police officers sitting the OSPRERG Part 1 promotion examinations. 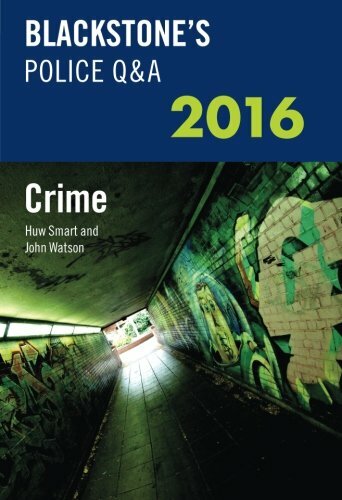 9780198718925 | 13 pap/psc edition (Oxford Univ Pr, October 14, 2014), cover price $150.00 | About this edition: Blackstone's Police Q&As 2015 are the essential revision tool for all police officers sitting the OSPRERG Part 1 promotion examinations. 9780199682058 | Oxford Univ Pr, November 30, 2013, cover price $130.00 | About this edition: Blackstone's Police Q&As 2014 are essential revision tools for all police officers sitting the OSPRE Part 1 promotion examinations. 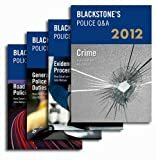 9780199682089 | Oxford Univ Pr, August 8, 2013, cover price $37.05 | About this edition: Blackstone's Police Q&As 2014 are essential revision tools for all police officers sitting the Ospre Part 1 promotion examinations. 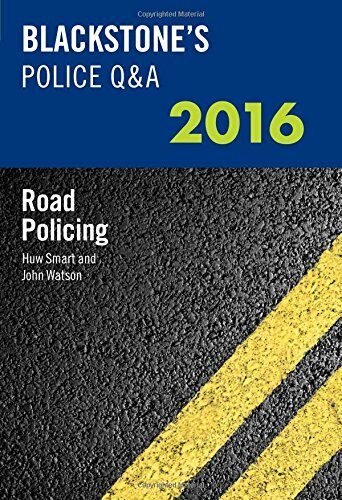 9780199658671 | 11 edition (Oxford Univ Pr, October 12, 2012), cover price $35.00 | About this edition: Blackstone's Police Q&As 2013 are essential revision tools for all police officers sitting the O. 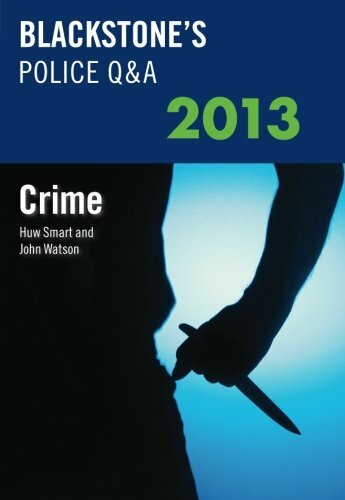 9780199658688 | 11 edition (Oxford Univ Pr, October 12, 2012), cover price $35.00 | About this edition: Blackstone's Police Q&As 2013 are essential revision tools for all police officers sitting the Ospre Part 1 promotion examinations. 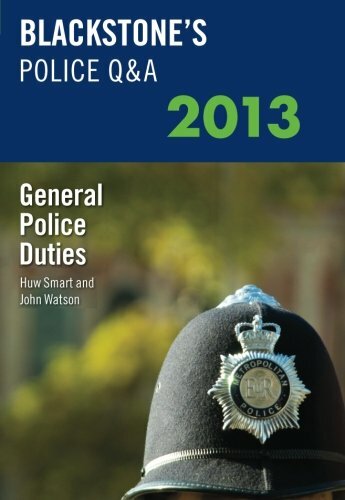 9780199658664 | 11 edition (Oxford Univ Pr, October 12, 2012), cover price $35.00 | About this edition: Blackstone's Police Q&As 2013 are essential revision tools for all police officers sitting the Ospre Part 1 promotion examinations. 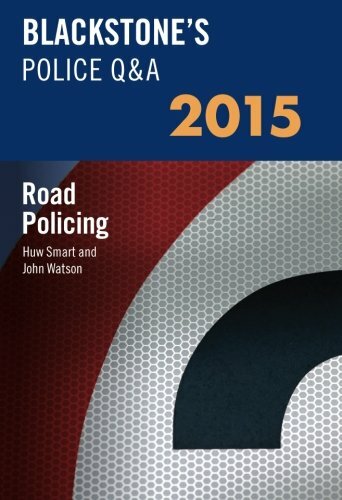 9780199658695 | 11 edition (Oxford Univ Pr, October 12, 2012), cover price $34.00 | About this edition: Blackstone's Police Q&As 2013 are essential revision tools for all police officers sitting the Ospre Part 1 promotion examinations. 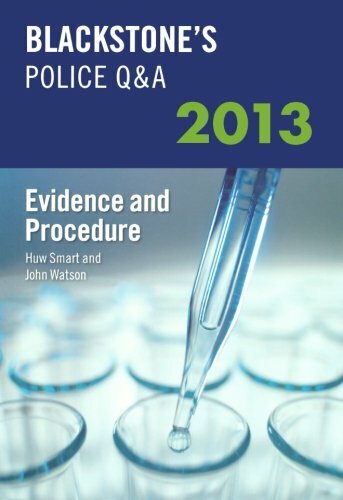 9780199658657 | Oxford Univ Pr, October 12, 2012, cover price $110.00 | About this edition: Blackstone's Police Q&As 2013 are essential revision tools for all police officers sitting the OSPRE Part 1 promotion examinations. 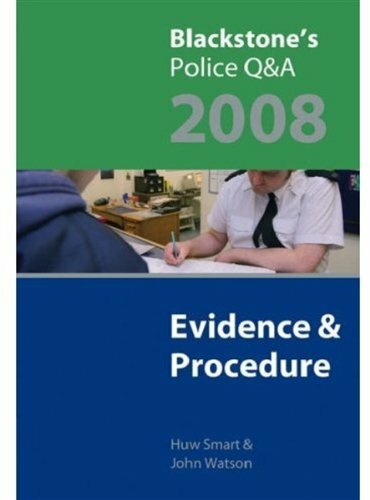 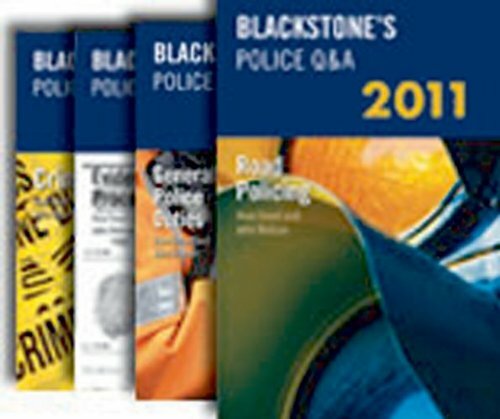 9780199696147, titled "Blackstone's Police Q&A 2012: 2012" | 10th edition (Oxford Univ Pr, November 15, 2011), cover price $125.00 | About this edition: Blackstone's Police Q&As 2012 are essential revision tools for all police officers sitting the OSPRE Part 1 promotion examinations. 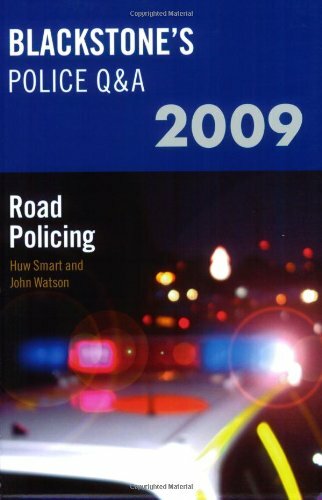 9780199592432 | 9 pap/psc edition (Oxford Univ Pr, September 30, 2010), cover price $135.00 | About this edition: Designed to mirror the best-selling Blackstone's Police Manuals, this series is written by experienced question writers. 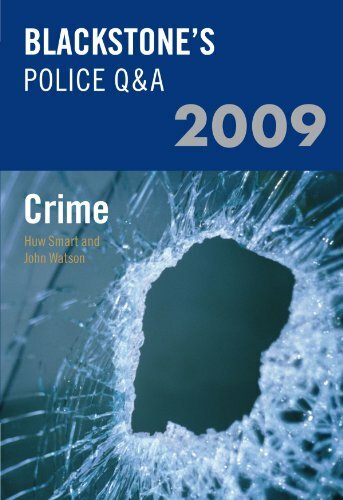 9780199577637 | 8 pck edition (Oxford Univ Pr, October 25, 2009), cover price $125.00 | About this edition: Designed to mirror the best-selling Blackstone's Police Manuals, this series is written by experienced question writers. 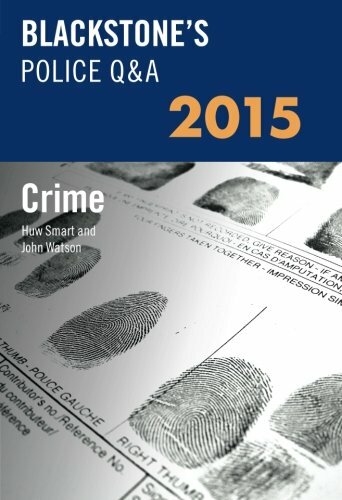 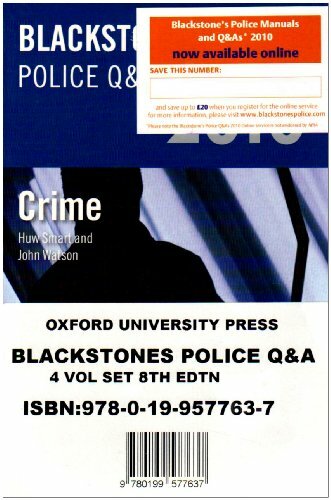 9780199547678, titled "Blackstone's Police Q & A Crime 2009: Crime 2009" | 7 edition (Oxford Univ Pr, October 15, 2008), cover price $47.00 | About this edition: Designed to mirror the best-selling Blackstone's Police Manuals, this series is written by Britain's most experienced question writers. 9780199549542 | 7 edition (Oxford Univ Pr, October 15, 2008), cover price $195.00 | About this edition: Designed to mirror the best-selling Blackstone's Police Manuals, this series is written by experienced question writers. 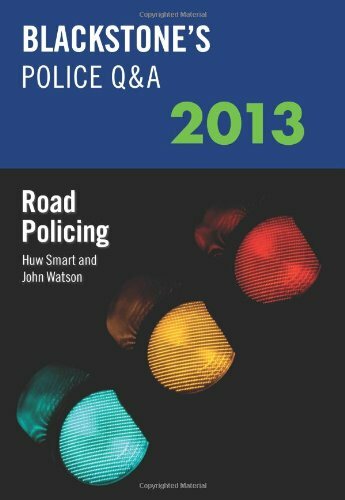 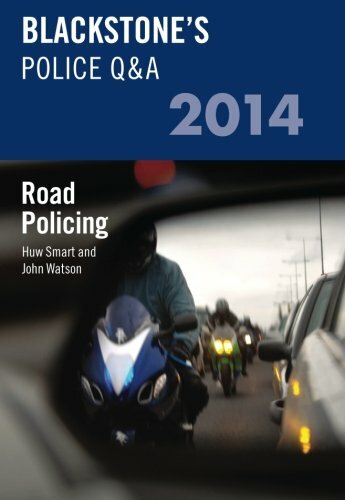 9780199547708, titled "Blackstone's Police Q & A, Road Policing 2009: Road Policing 2009" | 7 edition (Oxford Univ Pr, October 15, 2008), cover price $47.00 | About this edition: Designed to mirror the best-selling Blackstone's Police Manuals, this series is written by experienced question writers.